When it comes to our personal health and well-being, we have the right to expect and receive high quality care and services. Whether it is a dental check-up, an eye-exam, or surgical procedure, the quality of care should never fall short of the expectation of excellence and professionalism. As the health-care consumer, we should all expect that the individual whose services we are seeking is educated, well-practiced, credentialed, and current in his or her professional field. Personal training services should be no exception. For individuals looking to improve overall health and reduce their risk profile, hiring a personal trainer or fitness coach is a worthy investment, however, knowing where to find quality services can be challenging and confusing at times. Finding an experienced and educated trainer is not always as easy as walking in to the nearest fitness center or gym. 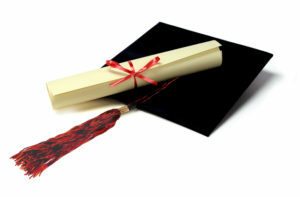 Education and Certification: I cannot emphasize this aspect enough!! There are far too many “dot com” certifications that are simply worthless interns of quality control and validity with extremely loose qualifying standards. 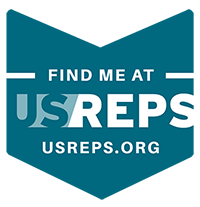 Any trainer worth their hourly rate should be educated (degree in exercise and sport science or related field) and/or certified by a reputable and accredited organization. Look for certifications from organizations that are governed by the National Commission for Certifying Agencies (NCCA) or equivalent accrediting body. The American College of Sports Medicine, National Strength and Conditioning Association, American Council on Exercise, National Council on Strength and Fitness, and the Aerobics and Fitness Association of America are all examples of reputable and accredited organizations. Refer to the links at the bottom of this post. While many of the certification exams do not require a college degree in an exercise science related field, the more educated the trainer is, the better it is for the client. Do not be afraid to ask your prospective trainer to see his or her credentials (certification card or number) – in fact – this information should be offered up front. Keep in mind you could pay a hefty hourly rate to receive these services; why not feel good about paying for quality? Insurance Coverage: Quality trainers possess their own liability insurance and/or have some sort of policy that is covered by the entity for which they work (in the case of large gyms that employ trainers). LLC’s typically have this type of coverage embedded. It’s ok to ask if the trainer is insured! Supplement Savvy: Certified and reputable trainers DO NOT sell, promote, or attempt to sell supplements. Many quality certification organizations include a position stand or some declaration as to its philosophy regarding these types of products. If the trainer you hire or are considering hiring is an advocate for pills, powders, or potions – keep interviewing. Trainers are not licensed to prescribe or promote nutritional supplements. That is the domain of a registered dietitian. Period. 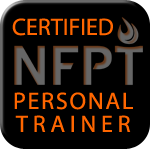 Current CPR/First Aid Certified: A personal trainer or fitness coach should be current in CPR and First Aid. This is also something you can ask to see. Experience and Knowledge of Special Populations: Experience is an important factor. A trainer should have some practical experience in the field. Ask the trainer what experience he or she has – conduct a mini interview and ask for references. It is also wise to find out what knowledge the prospective trainer has about special populations. For instance, if you are someone that is pregnant, diabetic, or has any other medical condition or status, the trainer you choose should be able to work within the limitations of the given condition and should consult with your primary physician and/or health-care provider. 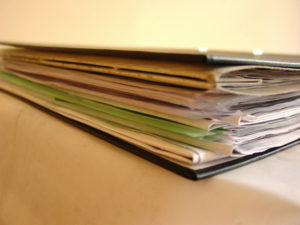 Assessment and Record Keeping Practices: Well-practiced and educated personal trainers and fitness coaches will have a reliable approach to client assessment and record keeping. Prior to starting a client on a program, the trainer should assess baseline measurements (what is assessed is client dependent) and determine a course of action based on client goals and needs. Routine assessment should occur at specified points in the training experience and accurate records should be kept and shared with the client. Chemistry: While all of the above points are important factors to consider when choosing a personal trainer or fitness coach, keep in mind that personality is also a priority. It is critical to have the right chemistry with your prospective trainer prior to signing a contract for services. Ask the prospective trainer if you might have a “trial” training session to determine if he or she is the right fit for you. Many trainers will offer a free or discounted session as a way of helping their potential clients “test the waters”. Bottom line: You are the consumer seeking a service; expect quality, ask for quality, receive quality. Be an advocate for yourself and feel empowered to achieve the goals you set!